A Dover Transport Museum raffle for two motorcycles – a 1947 250cc BSA C11 and a 1953 197cc Francis-Barnett Falcon – to raise funds for its collection will be a top attraction at the Romney Marsh Classic Bikejumble on Sunday, May 20. There will also be a ride-in show, with spot cash prizes for the best pre-1990 classic and best post-classic machines, at ELK Promotions’ first event of the year where visitors will find a great choice of new and used spares, bikes, clothing and accessories. Seating will be available in the large marquee, where stalls will include those from Falconwood Transport & Military Bookshop, AJ’s Old Tax Discs and Triumph Tiger Cub specialists Greystone Enterprises. The Romney Marsh event will be a haven for classic bike fans looking for new projects or elusive spares for their own machines. On the A2070 six miles from J10 of the M20, the venue is Marsh Road, Hamstreet, near Ashford, Kent TN26 2J. The show will open at 10am. A helmet park for those arriving on two wheels is being organised by the Royal British Legion, whose gazebo will be close to the bike park, and there will be a free BikeMart display-to-sell area for private vendors. Cheap garage clear-out stalls are available for £10, but must be pre-booked. There will be good catering facilities on site, and well-behaved dogs on leads will be welcome. For more information, contact ELK Promotions, PO Box 85, New Romney, Kent TN28 9BE, call 01797 344 277 or go to www.elk-promotions.co.uk or email events@elk-promotions.co.uk. 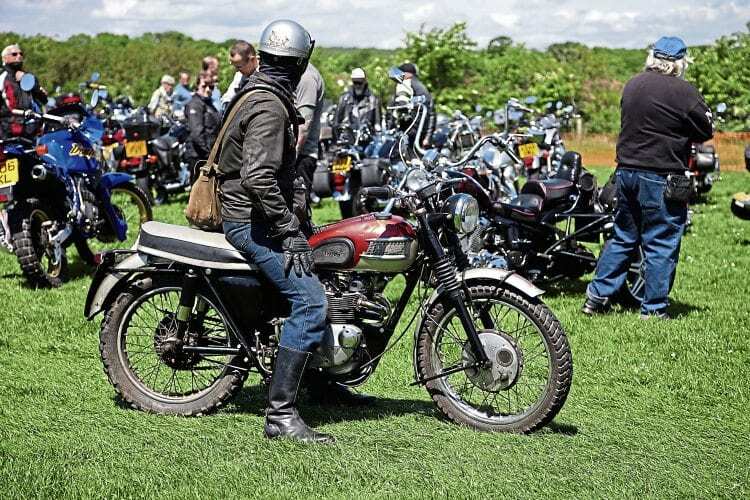 The Romney Marsh Show & Bikejumble will take place on the same site from 10am on Sunday, June 24, and the South of England Summer Classic Show & Bikejumble will be at the South of England Showground at Ardingly, West Sussex RH17 6TL, from 10am on Sunday, July 15. Next Post:When those carbide lights flickered out, there was still one potent solution left!